Art Box is back and it's bigger and better! We're talking three times the size of last year's debut, where you'll be treated to wares from over 400 retail and F&B stalls and of course, many photo-opps with the pop-up marketplace's makeup of colouful container blocks! Here's a video reel of the highlights you can expect when you swing by this creative bazaar! Haven’t you heard? Acrylic earrings are totally in this year. We’re talking the sizeable ones, preferably sporting quirky shapes and in striking colours that you can spot from a mile away. 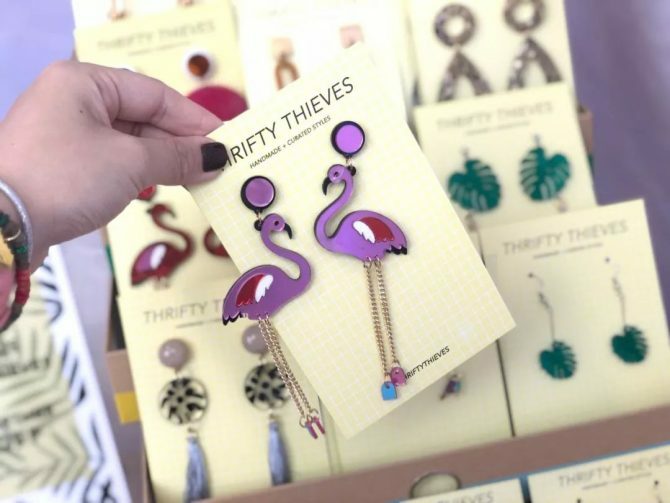 From emerald palm leaves to glittering chandeliers, Thrifty Thieves offers a whole array of ear candy, of which we spied this pair of long-legged flamingo earrings in shades of outrageous pink, no less. Flash this article on your phones to get $2 off your total bill at Thrifty Thieves! Valid for full priced items only.